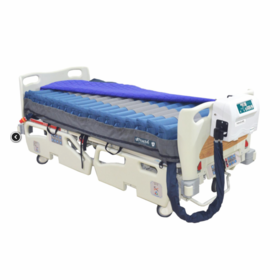 Like alternating pressure mattresses, low air loss mattresses use inflatable cells or bladders to treat and prevent bedsores. However, they operate on a different principle. 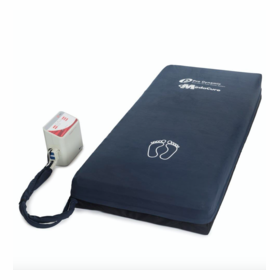 Low Air Loss or True Low Air Loss mattresses use a blower-based pump. The blower can generate 1000-1800 liters of air per minute from the pump, circulating air through the mattress. The cells on a low air loss mattress are punctured with tiny laser-cut holes that actually allow air to escape in miniscule amounts. These cells �float� the patient on a constant stream of air. The result is that moisture and heat are dissipated, allowing the skin to �breathe� properly. Friction and shear are vastly reduced, preventing the breakdown of the skin and the formation of pressure ulcers. Low air loss technology can be used in conjunction with alternating pressure cells for a customized approach to care. True Low Air Loss Mattresses in this section all use blower based pumps. They are designed to manage heat and moisture keeping the skin cool and dry. The true low air loss mattress is balanced in zones making it more comfortable for the patient. The torso area supports 100% of the weight setting allowing the feet and shoulder areas to be slightly softer for a more balanced sleep surface. 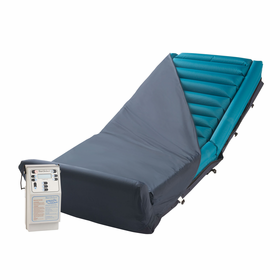 Some systems feature on demand low air loss, pulsation and alternating pressure for additional therapy and comfort. 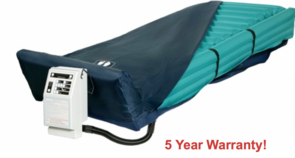 True Low Air Hospital Mattresses can be used to prevent or heal up to stage 4 bedsores. 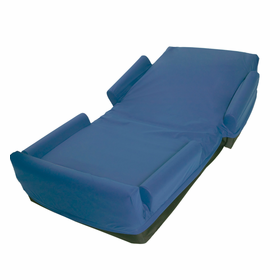 They are a perfect solution for a long term care patient who is spending more time in bed. 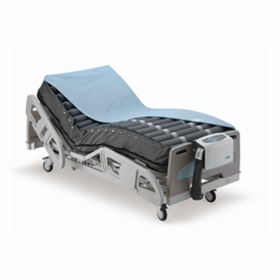 Bariatric Low Air Loss Mattresses are available in wider sizes or for a heavier patient looking for a long term care solution to prevent and heal pressure sores. All of these True Low Air systems are considered the best in long term care.